As college degrees become more and more expensive, students everywhere are looking for any and every way to save money where they can. One of the most effective categories in which to save is the cost of living, including off-campus housing, food, transportation, and medical care. With a cost of living around 13% lower than the national average, Kentucky is a much more affordable place to live than many other parts of the country. This is good news for students attending any of Kentucky’s 54 colleges and universities. Using data from Wikipedia, our editors made a list of every college town in Kentucky and then used data from Sperling’s Best Places to rank them on general affordability. To figure out which college towns are most affordable, we looked at costs for housing, food, health, transportation, and utilities, and compared them to the national average. We also considered features like amenities, crime rates, public transportation, and overall quality of life before narrowing our list down to the 20 most affordable college towns in Kentucky. 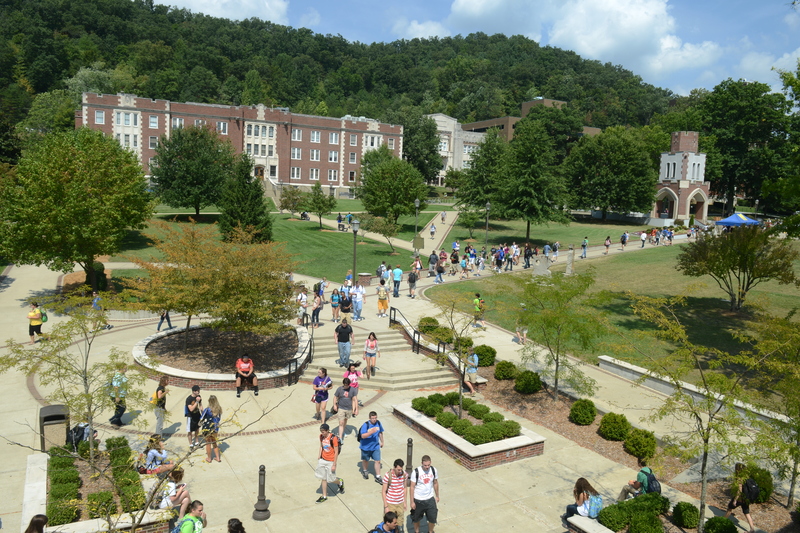 Tiny Columbia is home to Lindsey Wilson College, a private liberal arts college associated with the Methodist church. With a population of around 4,000 people, Columbia is a quiet community with an impressive collection of historical sites and buildings, and a quaint, walkable downtown area. Outdoor activities are the popular pastimes here. Columbia’s ideal location between Green River Reservoir, Dale Hollow Lake State Park, Barren River State Park, and Lake Cumberland State Park give Columbia residents easy access to recreation lakes and world-class fishing spots. Grayson, home to Kentucky Christian University, is a small town situated among the Appalachian foothills. The tight-knit community lives well here. Housing costs are less than half of the national average, while costs for food, healthcare, utilities, transportation, and entertainment also fall below the national norm. People — students and full-time residents alike — are drawn to Grayson for its pristine natural setting and outdoor recreational opportunities. Three state parks overlap Grayson’s borders, so hiking, mountain biking, camping, boating, caving, zip-lining, and rafting are all popular pastimes here. Situated in the heart of Kentucky, Campbellsville has been called the state’s “best kept secret.” The town is an oasis for outdoor adventure. Nearby Green River Lake State Park offers outdoor lovers more than 40 miles of trails for hiking, mountain biking, and even horseback riding. Back in town, a Civil War battle site and historic downtown lined with shops, eateries, and even a rejuvenating spa means there is plenty to fill one’s time. Quality of life is high here, but the cost of living is one of the lowest around. Food, healthcare, housing, utilities, transportation, and entertainment costs are all well below the national average. Located in the hills of northern Kentucky, just seven miles south of Cincinnati, Highland Heights is the quiet suburb that is home to Northern Kentucky University, one of the state’s fastest growing universities. Despite its proximity to the big city (the town is also an hour and a half to both Louisville and Lexington), Highland Heights has managed to maintain a small-town, tight-knit feel. It’s also one of the safest towns in the United States, and the local police department has received national recognition for its Community Relations Team and its success in keeping the town and its citizens safe. With a cost of living that is so far below the national average, one may be surprised to hear that Owensboro is one of Kentucky’s most visited small towns. This energetic community, which is home to two well-known colleges, plays host to a number of popular attractions, including the International Bluegrass Music Museum, the top-notch Regional Performing Arts and Civic Center, the Owensboro Museum of Fine Art, the Owensboro Museum of Science and History, and the Western Kentucky Botanical Garden. Those who like their college towns to come with proud historical traditions will love Barbourville. The small town is home to the famous Daniel Boone Festival, as well as the site of the first log cabin ever built by a settler in Kentucky. 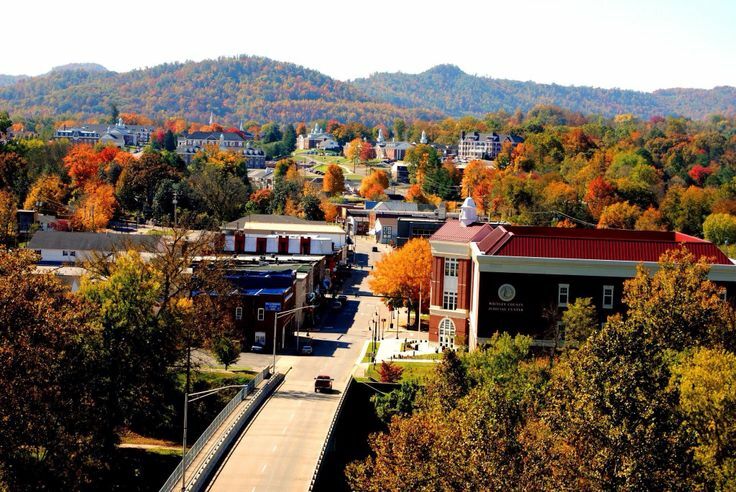 Students attending Barbourville’s Union College are sure to love the town’s walkable and charming downtown area, where shops and restaurants are all surrounded by some of the state’s most beautiful nature. And one fun benefit of coming back to school each September– the Living History Days Festival, during which Barbourville’s 1861 Civil War Battle (the first in the state of Kentucky) is reenacted. Consistently ranked as one of the “Best Communities for Young People,” Murray is a beautiful and energetic town, and a great place to call home! Students at Murray State University have it all: a tight-knit local community; vibrant music and theater scenes; local hunting and fishing sites; fine art museums; lush parks, and shopping and dining options in all price ranges. Best of all, the cost of living is a whopping 14% lower than the national average. Artsy students at Berea College will love living in the small town of Berea. The uncontested “Folk Arts and Crafts Capital of Kentucky” is well known for its diverse culture, politically active local population, and proud history (Berea College was the first interracial college founded in the South). 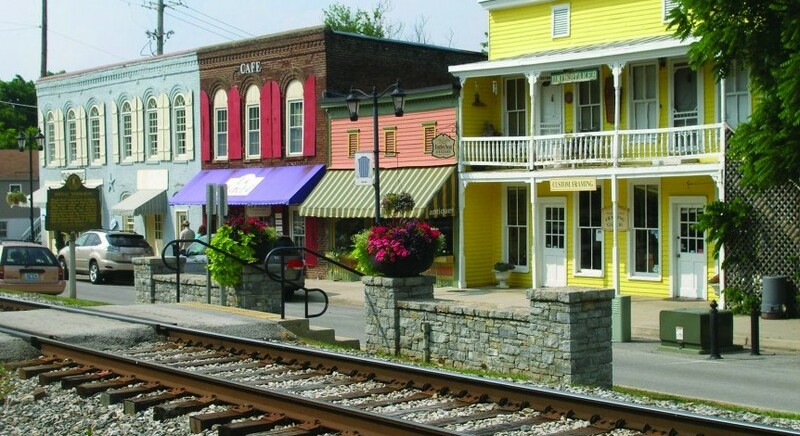 In addition to the usual shops and restaurants, Berea’s inviting downtown area is lined with more than 40 arts and crafts stores, galleries, and studios. When students need a break from small town living, the city of Lexington is an easy 45-minute drive north. Nestled between Kentucky’s two biggest cities is its charming little capital, Frankfort. The town is home to Kentucky State University, and offers its student residents easy access to everything that makes Kentucky what it is. Prestigious horse farms and historic Keeneland racetrack are perfect hosts for a fun day away from campus, while Kentucky’s famed Bourbon Trail meanders through and around Frankfort itself. Downtown, students have access to historical sites, shops, restaurants, and art studios, while big city amenities are all within easy reach. Morehead, home to Morehead State University, is one of three officially designated Kentucky Trail Towns. As such, it’s a popular destination for lovers of the outdoors. Kentucky’s longest trail, Sheltowee Trace, even meanders right through Morehead’s picturesque downtown, so a leisurely hike can conveniently end with a drink or meal at one of the town’s locally owned restaurants. Nearby Cave Run Lake has more than 100 miles of trails that are especially popular among mountain bikers and equestrians, while Lexington, less than an hour’s drive away, is an easy getaway for big city amenities or a day at the races. Though Forbes magazine recently named Bowling Green one of the “25 Best Places to Retire” in America, one need not be of a certain age to enjoy this fun college town. A recent redevelopment project left Bowling Green with a downtown that caters to a student population, complete with restaurants, shops, trendy apartments, and art galleries. A large performing arts center, some lakes, and the largest cave system in the world make for some fun and inexpensive pastimes, though the bigger cities of Louisville and Nashville are both within easy access. All of the important cost of living categories come up under the national average, while housing costs in Bowling Green average only about 79% of the U.S. norm. 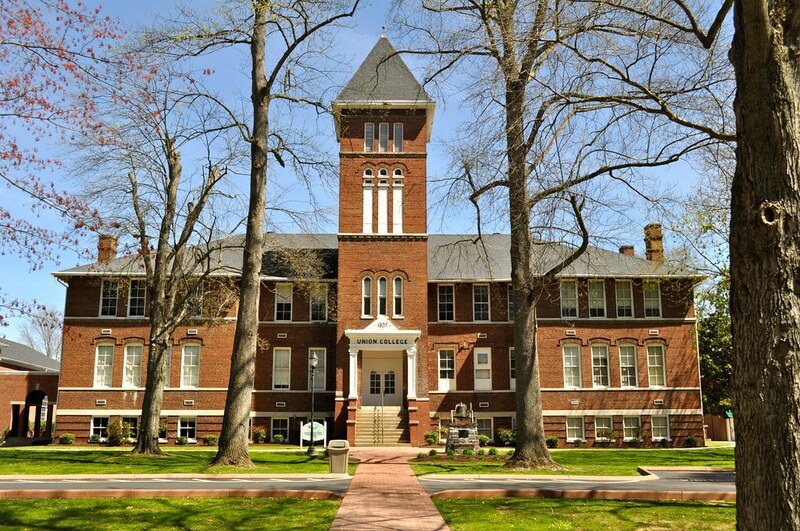 Renowned liberal arts school Centre College is located in Danville, a charming college town with a proud history. The award-winning downtown consists of significant historical sites, locally owned restaurants and cafes, budget-friendly shops and boutiques, and beautifully painted buildings. A noteworthy arts scene provides plenty of entertainment locally, making Danville a great (and affordable!) alternative to the hustle and bustle of the big city. Students at Eastern Kentucky University have the pleasure of living in Richmond, one of Kentucky’s fastest growing cities. The centrally located town of 20,000 people has managed to retain its laid-back, college town feel, even throughout its growth. An inviting and picturesque downtown remains a popular hangout for students enjoying its shops and restaurants. Outdoor recreational activities are popular pastimes here, which isn’t surprising considering Richmond’s proximity to hiking trails, lakes, and mountains. Louisville is a fun and laid-back city that is the perfect place to spend four or more years. Besides having a cost of living that is lower than both the national average and most other cities its size, Louisville is within 10-hours driving distance to approximately 60% of cities in the continental United States. Lively areas of town like Bardstown Road and Frankfort Avenue are fun places lined with student-friendly shops, restaurants, clubs, and pizza parlors. Plus, there is always something going on here, whether it’s the famous Kentucky Derby in May, or April’s Thunder Over Louisville, the largest fireworks show in the world. Perhaps not too surprising of a town that is home to a small liberal arts college and a theological seminary, Wilmore is a quaint and quiet little place. Happily for Asbury students, Wilmore’s picturesque downtown is practically right across the street from campus. Here, students enjoy hanging out at book stores, a movie theater, and little shops selling everything from affordable necessities to antiques. While prices aren’t likely to be any lower in bigger cities, Asbury students often head to larger places like Lexington and Nicholasville for more shopping and entertainment choices. Located only 10 miles north of Lexington, quaint and upscale Georgetown is best known as the “Horse Capital of the World.” Georgetown College students have access to one of the most historic and picturesque downtowns in all of Kentucky, and often spend quiet weekends or evenings strolling through the variety of unique boutiques, coffee shops, and tasty locally owned restaurants. Georgetown is an incredibly desirable address, and housing prices tend to be slightly higher here than in the surrounding area. Still, college budget-friendly options certainly exist, some of which are even located in historic neighborhoods known for their fine examples of Victorian architecture. 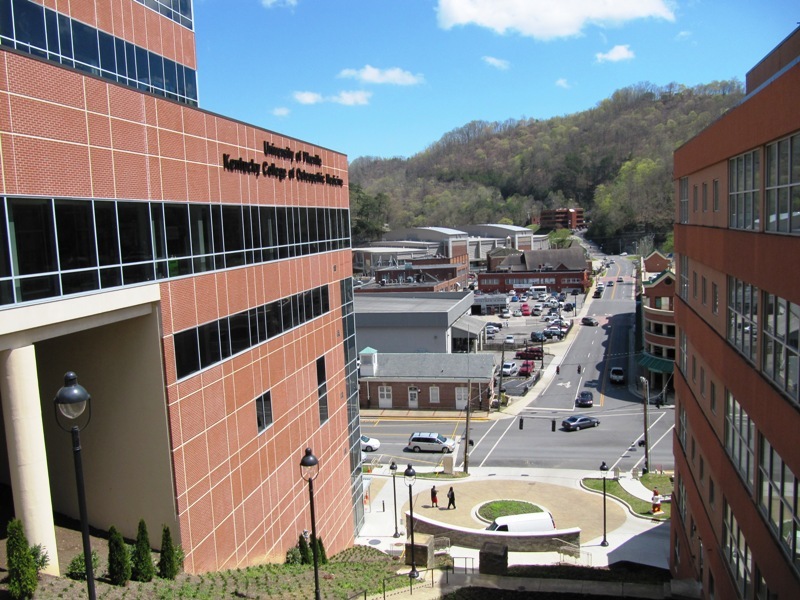 Pikeville, home to the University of Pikeville, has twice been recognized as one of America’s best small towns. The main off-campus student hangout is the downtown area, which offers everything from budget-friendly dining options, to locally owned shops and boutiques, to historic walking tours. For those who love the outdoors, Pikeville’s easy proximity to the Appalachians makes hiking and other outdoor activities popular pastimes. Interestingly, Pikeville was the setting for much of the Hatfield/McCoy Feud, and interested tourists can often be seen following the path of markers that tell the tragic stories of the long battle between families. Though it’s the second largest city in Kentucky, Lexington feels like a small town, partly due to the fact that much of it is spread out amongst rolling green hills. Horses and the University of Kentucky Wildcats are the two most important things here, and motifs relating to both can be spotted all over town. Areas around Lexington vary from small and affordable, to historical, to luxurious and out of reach to all but the wealthiest of the wealthy (we’re talking the Saudi royalty kind of wealthy). Still, housing in Lexington averages about 9% less than the national average, as do the costs of food, utilities, transportation, and entertainment — good news for students and anyone else looking to make beautiful Lexington their home. Nestled between Frankfort and Lexington, tiny Midway is probably best known as the location of dozens of beautiful and prestigious horse farms. But as the home of Midway College, it’s also a fun college town with plenty of historical significance and entertainment to offer its residents. Midway’s picturesque downtown, which is listed on the National Register of Historic Places, is a fun place to spend an afternoon shopping or to enjoy tasty locally owned restaurants. Perhaps not surprisingly, equestrian sports are the big pastimes here, and the historic Keeneland racetrack is a popular place to spend a weekend day.